Dr. Bill Sears delivers his prescription for the ways that new fathers can form a true connection with their baby. When my patient Tracee and her new baby, Zachary, recently came into my office for his two-week checkup, she exuded the excitement of a new mother and was absolutely enthralled with her baby. Interestingly, she had more concerns about her husband, Paul, than questions about her baby. I feel so close to Zachary, yet my husband isn’t as connected, she said. I know he loves Zachary and wants to be a good dad, but I feel like he’s missing out on the wonderful bonding experience that I’m enjoying. How can I help close this gap? The following five tips are the prescription I gave Tracee. I asked Tracee what she did when Zachary started to cry while Paul was holding him. She responded, I just can’t stand to let him cry so I quickly grab him from my husbands arms. While that’s a natural mothering reaction, I advised her to avoid hovering nearby, ready to rescue fussy baby from fumbling daddy. Instead, I suggested she take a walk and give daddy and baby time and space to work it out. Dads and moms have different ways of relating to their baby, and babies enjoy this difference. Here are some baby-comforting tips for fathers that I developed over years of comforting our own eight babies and nine grandchildren. The neck nestle. Show dad how to hold baby against his chest (forward-facing or chest-to-chest), nestle baby’s head in the crook of his neck and drape his chin over baby’s head. Babies hear not only through their ears, but also through the vibration of their skull bones. The neck nestle is one of the few comforting techniques in which dads have a slight edge over moms. The more easily felt vibrations of the lower-pitched male voice will often lull baby right to sleep. Dad should first place baby’s head right against his voice box. Then while walking, dancing or lying with baby on his chest, encourage daddy to hum or sing a low-pitched melody (Old Man River is one of my favorites) while rocking from side to side. Dads can really shine with this high-touch baby-calmer. The warm fuzzy. Here’s another baby-settling strategy that helps men use their anatomy to their advantage. Dad should lie down and drape baby skin-against-skin over his chest while placing baby’s ear over his heart, then pat baby’s diapered bottom gently with his free hand for an additional soother. 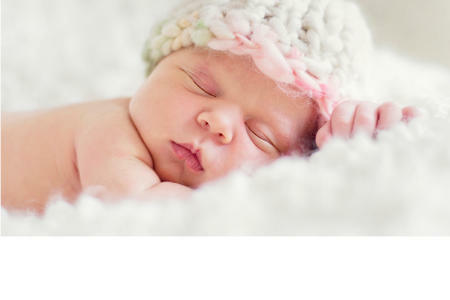 As baby senses the rhythm of his heartbeat and up-and-down breathing motion, she will naturally relax. Notice her fists uncurl and her limbs dangle limply over your chest. Dad can also try letting baby nestle against him with the back of her head in his armpit and her tummy resting comfortably against the side of his chest. In this position, baby’s ear can still hear dads heartbeat and sense the rhythm of his breathing. Encourage dad to get used to carrying his infant around in a baby sling. 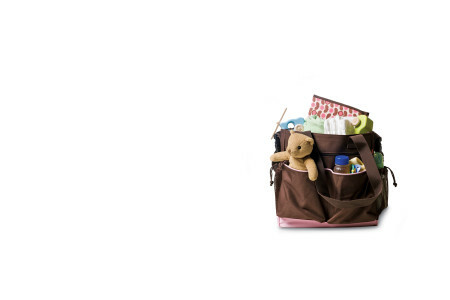 Sling-type carriers are often easier to use since they don’t feature a lot of complicated buckles and straps. Baby-wearing is especially helpful during what I call happy hour the end of the day when many babies seem to have a meltdown and fuss a lot. This is a time when dads can excel. Daddy can wear baby around the neighborhood for some daddy-baby bonding time, while you take a nap or do something just for yourself. The term nursing implies not only breastfeeding, but also comforting. While only mothers can breastfeed, fathers can also nurse. Encourage dad to develop his own list of bedtime rituals such as bathing baby, singing to baby and reading stories to the toddler. When you give a man space and encouragement, you’ll be surprised what baby-comforting techniques they come up with. On weekends, holidays and other days when your schedules are aligned, encourage him to take over baby care in the morning while you sleep in. Encourage him to put baby in a carrier and stroll around the block for a nice baby-daddy walk. When my son Matthew was 11 months old, both he and I enjoyed going for a walk around the neighborhood right after his morning nursing. Matthew got so used to this habit that after nursing, he would give me the go cue, then he would crawl toward the baby sling hanging near the door. In my 47 years of marriage, I’ve learned that bonding with my babies automatically improves my bonding with my wife seeing a man nurture his baby is inspiring to a woman. 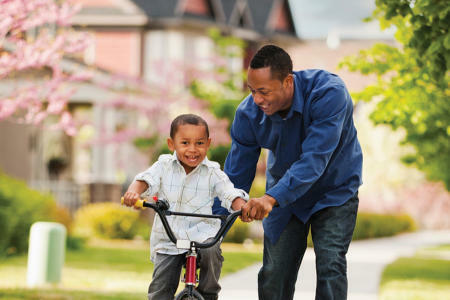 As dads build a lasting bond with their child that will never be forgotten, they can also strengthen the marriage bond. Dr. Bill Sears, M.D., is a father of eight and the author of 42 books on family health, including The Healthiest Kid in the Neighborhood. A practicing pediatrician for over 40 years, he is an Associate Clinical Professor of Pediatrics at the University of California, Irvine, School of Medicine. Dr. Sears is a fellow of the American Academy of Pediatrics (AAP) and a fellow of the Royal College of Pediatricians (RCP). By Dr. Jennifer Shu, M.D.